When gathering information for a project launch I scour the internet looking for statistics. I found one this time on Orphan Outreach that stopped me in my tracks completely. “There are more than 143 million orphans around the world. The majority don’t live in orphanages, they live in communities. They live in extreme poverty and many are homeless.” One hundred and forty three million. 143 million. Can you comprehend this number? Staggering. Mind boggling. Overwhelming. I read this information, along with other countless figures, from the warmth of my own home. A safe place that I have created for my own children. With love bursting at the seams. And I became overwhelmingly grateful for all that I have and am able to provide. Every year 14,050,000 children still grow up as orphans and AGE OUT of the system. More than 1 million orphans are waiting for a home in Russia. In Russia, 60% of girl orphans become prostitutes and 70% of male orphans become hardened criminals. Kids don’t get to pick their parents. They don’t get to pick what their upbringing will be like. They have no choices. We can’t change this, but we can help. We can share a little love from across the globe. 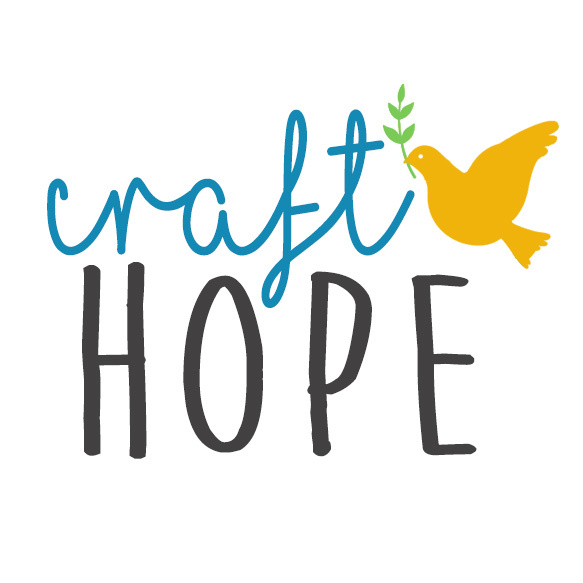 Time and again we keep coming back to helping kids here at Craft Hope. Empowering a generation and changing our future for the better. There just is something about putting a smile on a kids face. Spreading hope. Doing what we do best. For Project 12, we are partnering with Orphan Outreach and sending them with a little love to take to Russia. This time we will be making bracelets for them to pass out to kids. Bracelets are a huge hit with kids of all ages — hemp bracelets or beaded bracelets. They are going on a trip in August and have asked us to collect bracelets for them. Carin Vogelzang, Director of Margaret’s Hope Chest and an angel in disguise, has stepped up yet again to help us coordinate this project. She’s a sweet friend of mine from across the miles who we partnered with previously for Project 5 to provide handmade quilts to homeless children in Grand Rapids, Michigan. We collected 436 quilts! Basically WCSG, the local Christian radio station in Grand Rapids, Michigan, is teaming up with Orphan Outreach to help children in Russia. They’ll be working at St. Petersburg’s Crisis Center 15 — a triage for children who have been abused, neglected, or abandoned. The children who are brought to the center range in age from infant to teen — many are newborns who have been abandoned on the street or left in dumpsters. Currently, there are over 750,000 children in the orphanage system and hundreds of thousands more living in the streets. The goal of Orphan Outreach in Russia is to involve and empower local churches to do the work of orphan care. The ministry focus is on orphan graduates – those orphans who are leaving the orphanage system. Without essential living skills, education, or employment possibilities, many of these young people resort to addictions, prostitution, or suicide. To help prevent such outcomes, Orphan Outreach has begun to support local orphanages and ministries to bridge a child’s transition from orphan-care to independent living. So here is what we need — We need bracelets. As many bracelets as you can muster. They can be hemp, woven, or beaded handmade bracelets. The one major requirement is that they are handmade. This is a great project for kids and groups to be involved. So please start rallying your groups. Make as many bracelets as you can. The deadline for this project is June 15, 2011. ******************************* Update 4/14/2011 3:33 pm: Fabric bracelets will be accepted as well. Thank you! Update 4/15/2011 3:21 pm: Any type of bracelet of any size will be accepted and shared–the children they will go to will be ages 4-18 (or older).